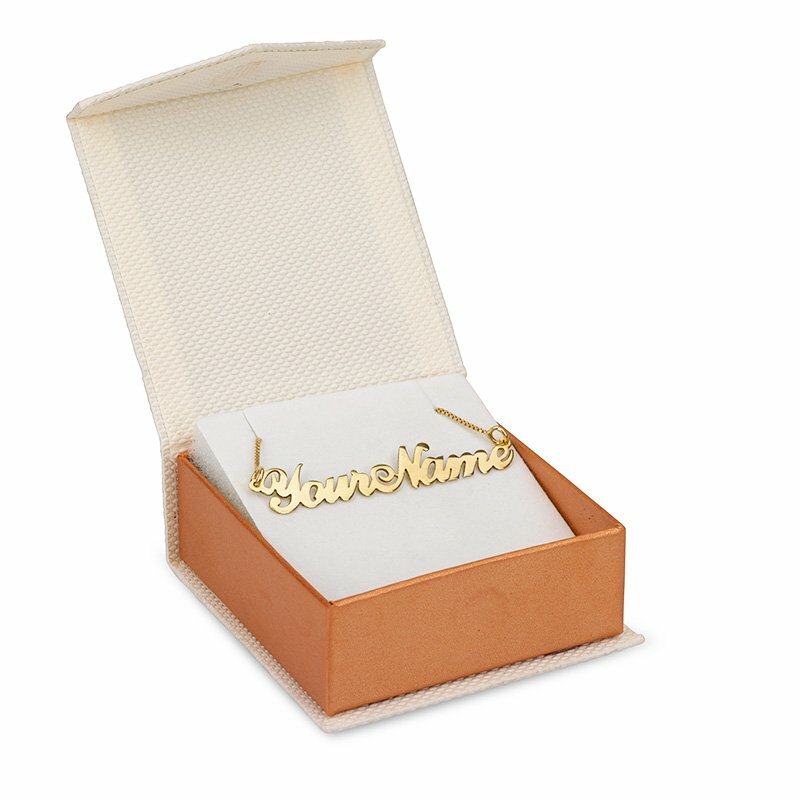 This unique personalized jewelry will certainly remind you of what it felt like in medieval times to have a key hanging from your neck. The Key with Name pendant features a key-shaped pendant that can be engraved with a single name on it. 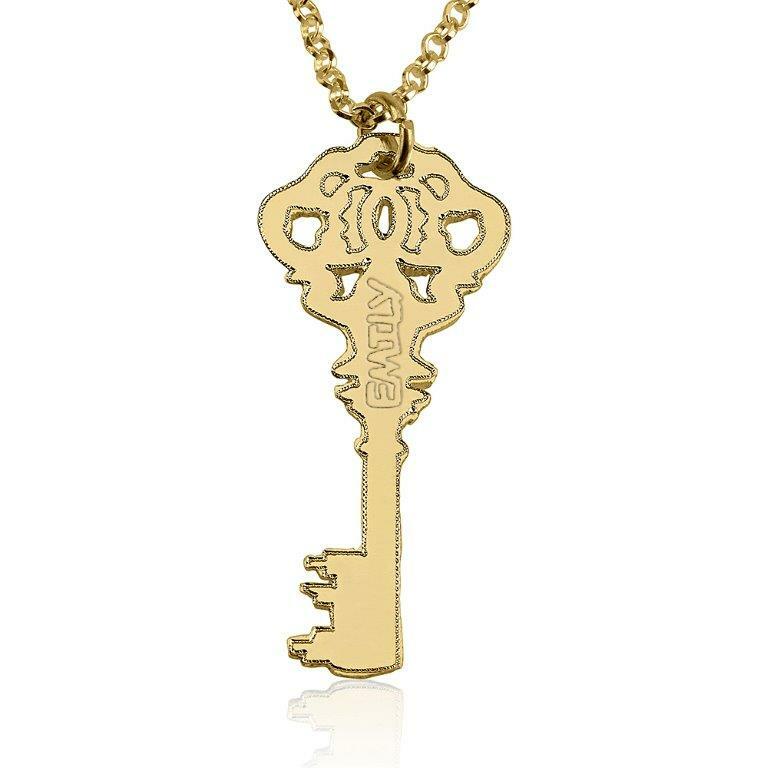 The key pendant comes with a special Rollo chain. This one is made out of 18k gold plated for those searching for gold jewelry on a tight budget. We can also engrave date or additional name at the back of the pendant, without extra charge. 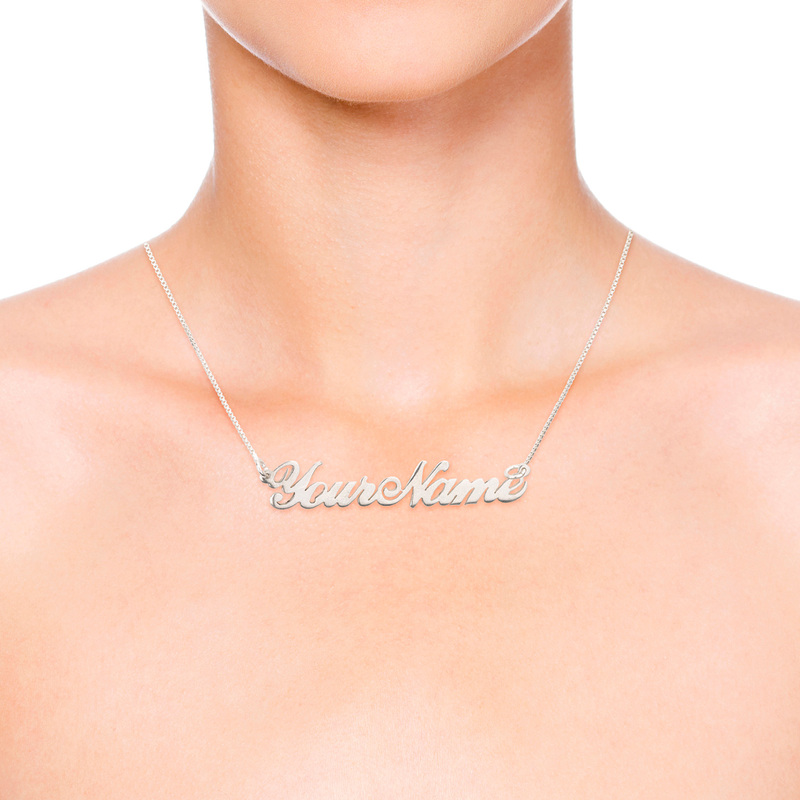 This personalized necklace is also available in our pure sterling silver. 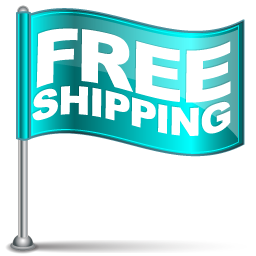 We want you to shop with peace of mind, 100 days return policy on all of our handmade personalized jewelry. Click here to see our jewelry warranty page.